In the famous Bennett Coleman vs UOI case, the Hon’ble Supreme Court held that media is the main vehicle through which the citizens of the country express themselves. It is through media that people create as well as discover the truth of their ideas. The media indeed holds a very powerful position in a democracy. It has played a pivotal role in nurturing the democratic form of government across the globe. From the Watergate scandal in the United States to the Bofors Expose in India, the media has always compelled the governments and corporate entities to answer their wrongdoings. It was the media, the print media, in particular, that pressed the nation into coming together behind one common agenda of Indian freedom. It was the media that helped the people of this country look beyond their differences and ignited the idea of our independence in their minds. Hence, it will not be an overstatement to say that the media has helped in giving birth to our country. The media has taken a wrong turn by involving itself in the corrupt practice of selling the news as advertisements. It is publicising a false narrative to the masses. A narrative that is being paid for by big conglomerates and political parties to carry out their agenda as news to the common public. This dissemination of false information has been termed as ‘Paid News’. The Press Club of India has defined ‘Paid News’ as “any news or analysis appearing in any media (print and electronic) for a price in cash or kind as a consideration”. It needs to be understood at the outset that media is part of the society. Since society is plagued by the evils of corruption, it would be impractical to expect anything different from the media. But the menace of paid news is much bigger than some individual corrupt journalists. It has become a highly systematic process of disseminating a kind of propaganda that suits a select few stakeholders. This leads to the desecration of the line that divides an objective and neutral piece of news form a paid advertisement. A large number of cases involving paid news are coming to the attention. In the 2008 Madhya Pradesh Assembly election, the Election commission of India disqualified Narottam Mishra , based on the 42 cases of paid news that backed his electoral victory. In Uttar Pradesh, MLA Umlesh Yadav was also disqualified on the same grounds. Madhya Pradesh was one of the top three states with the highest number of paid news complaints for the period of 2010 to 2013. The total number of notices issued by the Election Commission in Madhya Pradesh were 279 out of which 165 were confirmed. The only two states with numbers higher than Madhya Pradesh were Gujarat and Punjab where the Election Commission issued 495 and 339 notices respectively. The illegalities involved in a single incidence of paid news is multi-tiered. When a politician makes a payment in cash to a media house for favourable coverage, he breaks the Conduct of Election Rules, 1961 that are formed by the Election Commission under the Representation of People Act, 1951. Further, when the same media company does not disclose the payment that was received for carrying out such prejudiced news coverage in its financial reports, it violates the provisions mentioned in the Companies Act, 1956 as well as those in the Income Tax Act, 1961. In order to hide these irregularities, an intrinsic net involving media journalists, public relation executives, marketing firms as well as the owners of the media houses has been created to carry out these activities in a well-planned manner. It helps the people involved in such a transaction in two ways. One, it keeps all the information hidden, without the direct involvement of persons actually in power. Second, it helps the perpetrators in escaping their liabilities as it becomes really challenging to find such evidence that can convincingly pin the transaction on one particular person. A large number of circumstantial evidence that indeed points towards the increasing use of paid news is plainly denied by the representatives of the political parties and media houses. But these politicians are also coming to understand the evils of paid news. Smt. 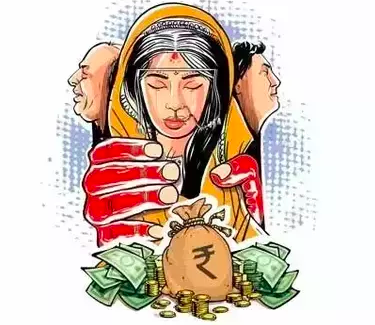 Sushma Swaraj, minister of external affairs, said that in her own constituency of Vidisha in Madhya Pradesh, her own media officials had told her how they had been offered a “package of up to INR one crore by a media organisation”. Other leaders have also condemned this growing menace that is starting to bite the hands that it feeds on. Not only politicians but the working journalists and journalist unions have also expressed their concerns over paid news. The owners of the media company play an important role in this clandestine operation. They are the epicentre of this storm that is blowing away the credibility of media, not just for the local readers, but internationally as well. Owners are the ones who enter into financial relationships with advertisers and public relation companies, even accepting shares of the company in lieu of the media coverage. These dealing are known as “Private Treaties”. Private treaties not only grants these big conglomerates easy access, from where they can disseminate their propaganda by masquerading information as news, but it also allows them to block any piece of news that will be detrimental to their interests and public image. The case of Naveen Jindal is one such episode where the representative of Zee News asked Mr. Jindal to spend huge sums on advertisement otherwise they will run negative stories against his company. The media owners have also undermined the role of the editors in the media companies by engaging more and more journalist under the fixed term contracts. This takes away the freedom of the journalist to give a divergent opinion from that of their employers. They tend to stay away from issues that could put them in the crosshairs of their employers. The episode of Narottam Mishra gives us an idea regarding the lack of powers that regulating agencies have in penalising the outlaws of paid news. The Press Council of India, though a quasi-judicial body, does not possess the power to castigate those who are found guilty of indulging in paid news transactions. Similarly, the National Broadcasting Authority (NBA) has provided a mechanism for filing complaints to the National Broadcasting Standards Authority (NBSA). The NBSA recently penalised a TV channel for broadcasting some objectionable content. But since NBSA is not a statutory authority, the TV Channel simply withdrew its membership from the authority to escape the penalties. Many suggestions to curb the evils of paid news have been put forward. The Election Commission has recommended amending the Representation of People Act, 1951 by making paying for news, a ground, for the disqualification of the candidate from the election. A number of politicians from different political parties have suggested to include paid news as an “electoral malpractice” under section 123 of the Representation of People Act, 1955. Proposals have also been made to amend section 15(4) of the Press Council Act, 1978 and giving the Council, the power, by which its decisions will be made binding on the government authorities. Another suggestion has been appointing an ombudsman within the media organisations for better self-regulation. But none of the suggestions makes a strong case. As far as amending the Representation of People Act, 1951 goes, there already exists laws such as the Indian Penal Code and Criminal Procedure Code that can effectively put a stop to such ill practices. The proposal to give powers to the Press Council of India has been pending for longer than it should have. And as far as the appointment of an ombudsman is concerned, self-regulation can be easily bypassed simply by refusing to abide by the rules. We already know that our judicial system doesn’t look too kindly at any attempts that are made towards regulating the freedom of the media. From the Channing Arnold vs Emperor Case, where it was held that the media enjoys the same freedom of expression as any ordinary subject, to the case of Romesh Thappar vs State of Madras, in which the court defined the difference between ‘public order’ and ‘public safety’ and held that only, if a document is seditious, can its circulation be prohibited. Otherwise, the circulation will not be prohibited even if it involves disorder to the public tranquillity. The safeguards provided to the media under Article 19(1) (a) of the Constitution cannot be taken away from the media under any circumstance. Hence, it becomes important for the government to tread carefully while aiming to regulate paid news. The Working Journalist Act, 1955 (or the Working Journalist and Other Newspaper Employees [Conditions of Services] and Miscellaneous Provisions Act, 1955) can be considered to be the governments best bet towards regulating paid news. The Act, which is currently applicable to print journalists only, has safeguards to protect the journalists from getting coerced by the whims of their employers. Section 16 of the Act clearly prohibits any clauses in the employment contracts that are inconsistent with its provisions. What is interesting is that the Act doesn’t stop journalists from enjoying better terms than those provided by the act. This solves the issue of low wages being paid to the journalists for enjoying freedom under this Act. It has been held constitutional by the Supreme Court in Express Newspaper vs UOI where the court recognised that the working journalists are a group themselves and hence the provisions of this Act doesn’t violate Article 14 of the Indian Constitution. Making applicable the provisions of this Act across all medium of journalism–print, TV, radio as well as the internet–would be a step in the right direction. The present situation of media reminds me of Pushkin’s telling of The Fisherman and the Golden Fish which is an old fairy-tale where a poor fisherman catches a golden wish-granting fish in his net. The fisherman’s greedy wife makes various ostentatious demands from the fish before finally asking for supreme powers over the fish itself. Quite naturally, the fisherman’s wife ends up losing all that she had. The media is the fisherman’s wife in the present story. It is over-reaching in order to gain more and in the process, it is even disregarding the law itself that has protected its freedom in the first place. I would not be surprised if, like the fish, the law flashes its tail and all that media is left with is a broken washtub.